Noel is a great asset to the crew – he has rowed the Atlantic before in 2012 onboard this same boat when it was named “Titan”, alongside Simon Chalk, Toby Wallace and Paul Williams. His background as a Super Yacht Captain for over 20 years; a professional sailor and having served in the Royal New Zealand Navy means he has much experience to bring. 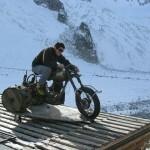 He is also an avid skydiver with 100s of sky dives logged…although this won’t come in handy onboard! He holds the current record for the oldest Kiwi to row the Atlantic and is excited to be having another crack at the Atlantic record as well as racing “Oystershack”! 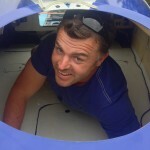 Paul is an experienced ocean rower having completed THREE Atlantic crossings since 2009, and an engineering consultant by background he now works freelance. 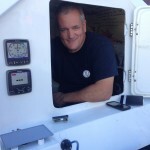 Very level headed and a great ocean rower – plus he can fix pretty much anything! He is really into his kayaking when he’s not ocean rowing, and enjoys travelling too. Our favourite fact about Paul…. he used to be a semi professional fire breather and juggler of knives and machetes – although this is obviously useless on board! 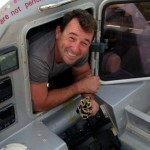 This will also be Paul’s second Atlantic crossing this year as he was onboard the “Toby Wallace” in February. He’s looking forward to being skipper and racing across to Barbados! 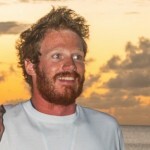 Matt may be young in age but trust us, this guy is a phenomenal ocean rower. He crossed the Atlantic with both Simon and Paul in February this year onboard the “Toby Wallace” and loved his crossing and is back for more! 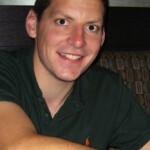 Matt is a personal trainer; a runner and cyclist having done many endurance challenges before the row this year. 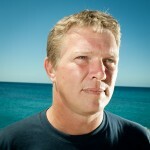 He is very capable and a will make a great First Mate to Paul. 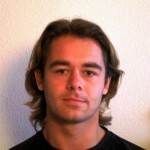 He will also be after the record for the “youngest person to row two ocean crossings in a year” when he gets to Barbados! Kevin is a subsea diving engineer, used to working in confined offshore locations with the same people every day for weeks on end so feels this experience will be helpful for the row – although the dinners they have are very different! 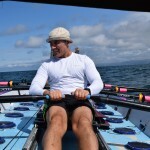 He has previously rowed for Exeter Rowing Club and has completed the Irish equivalent of Lands End – John O’Groats cycling too. He loves running too and is big into his fitness on a daily basis. He enjoyed being on the Thames for the Great River Race in September on the “Toby Wallace” and is looking forward to the challenge of an ocean row – something he has been thinking about since 2008! Mads is using this ocean row as a “warm up” for his own ocean crossing next year! He is an incredibly accomplished endurance athlete having competed in numerous Ironman’s worldwide; the off-road triathlon World Championships; Ultraman Canada; crewed for cycle event Race Across America five times; record holder in Ultracycling and also the winner of the European Cup of Ultracycling in 2010! A strong character, Mads has overcome and is cured of the debilitating mental illness, schizophrenia, and you can read about his amazing journey back to health by clicking here. 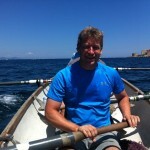 Whilst rowing is not a discipline he has conquered yet, he is a competent sailor and owns a pedal-powered boat WiTHiN which he will use to cross the Atlantic in 2015 – http://www.bikingtheatlantic.com. His strength of character and background in endurance will make him a real asset to the crew. Christophe is a French businessman who runs his busy company Plastil in Telford. 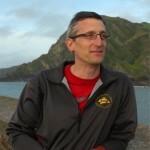 A husband and father, he travels extensively with work but also on lots of different adventures – a keen mountaineer, Christophe has climbed the North Face of the Eiger and has rowed the Irish Sea twice in a Celtic longboat. He is an active member of Shrewsbury Adventure Rowing Club with Stephen (onboard “Toby Wallace”) and most recently was part of a longboat crew who won their category in the Great River Race in September 2014, although the Atlantic is slightly longer than the 21.6 miles on the Thames! 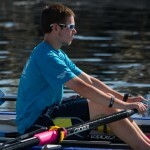 He is looking forward to being able to row every day on the ocean….